The Ocean City Pops will provide entertainment during the cocktail reception, which will also include a few “magical surprises” to wow Gala attendees. 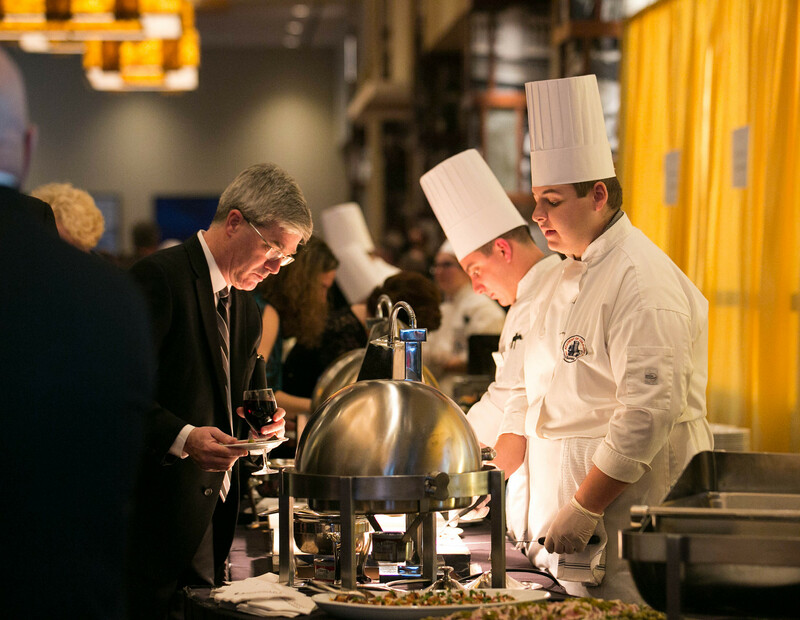 Each year, nearly 1,000 food enthusiasts attend the Gala. They will have the opportunity to dance the night away with live music from Central Park The Band and partake in candid photo booth shots. A dessert extravaganza, organized by Academy of Culinary Arts Chef Educator Daniel Matt, will complete the evening’s festivities with a variety of delectable desserts and confections, along with cordials and special offerings from an espresso bar. Tito’s Handmade Vodka will return to this year’s event as the official vodka sponsor. Also returning are Tomfoolery Brewing Company of Hammonton and Little Water Distillery of Atlantic City to provide exciting libations for attendees to sample, alongside Cape May Distillery, a new addition to the annual event. This year, the Atlantic Cape Community College Restaurant Gala will recognize the 2017 passing of James L. Cooper, a visionary and driving force behind the Atlantic Cape Community College Foundation. Cooper was a long-standing champion of the college's mission and a strong supporter of the Gala. Tickets to the Gala are $225 a person and can be ordered by contacting Kristin Jackson at 609-463-3621 or kjackson@atlantic.edu or by visiting www.atlantic.edu/gala. Advertising opportunities are also still available.